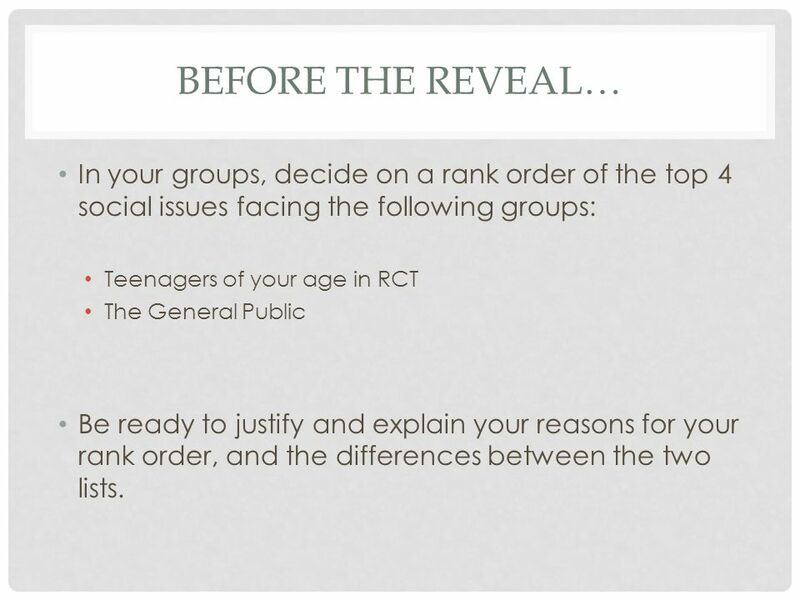 4 BEFORE THE REVEAL… In your groups, decide on a rank order of the top 4 social issues facing the following groups: Teenagers of your age in RCT The General Public Be ready to justify and explain your reasons for your rank order, and the differences between the two lists. 9 PLENARY: ONE KEY QUESTION. 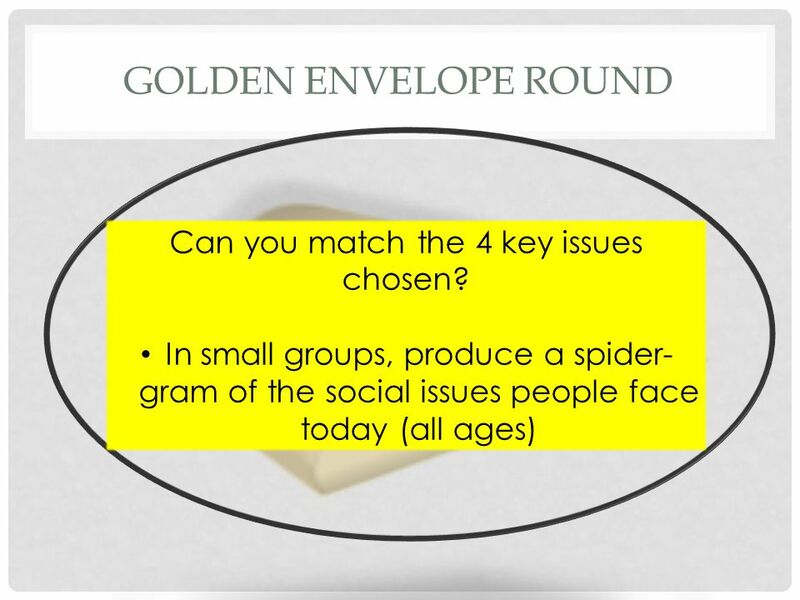 One key question Using a post-it note, write out one question you might research for each of the issues. Place the question on the Issue Board ready for examination across the rest of the project. 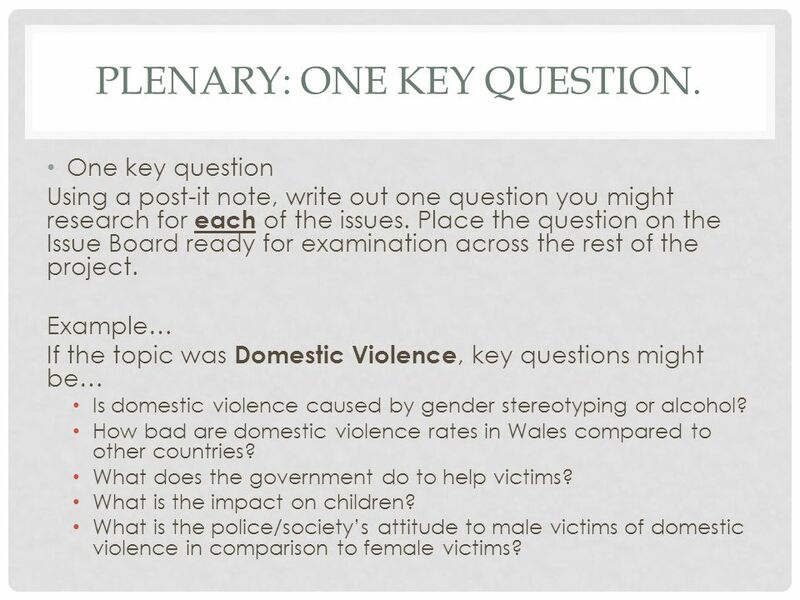 Example… If the topic was Domestic Violence, key questions might be… Is domestic violence caused by gender stereotyping or alcohol? How bad are domestic violence rates in Wales compared to other countries? What does the government do to help victims? What is the impact on children? What is the police/society’s attitude to male victims of domestic violence in comparison to female victims? 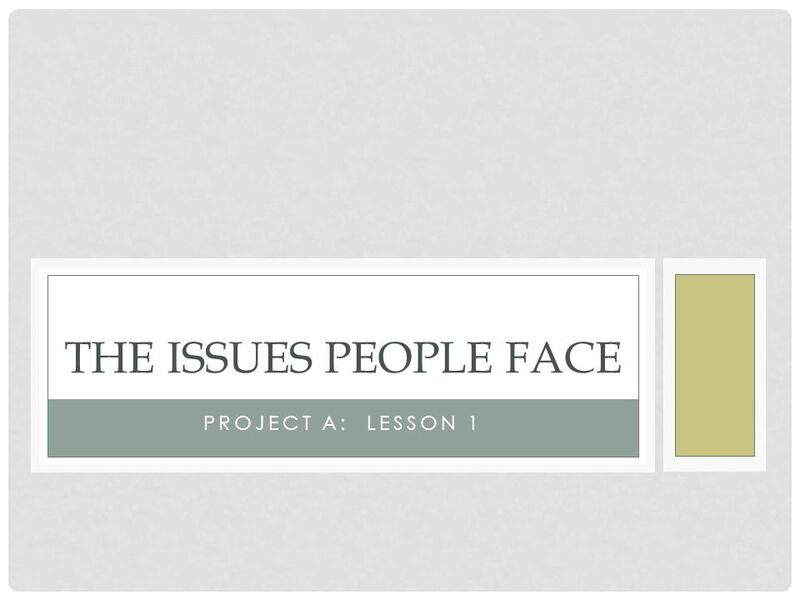 Download ppt "PROJECT A: LESSON 1 THE ISSUES PEOPLE FACE. 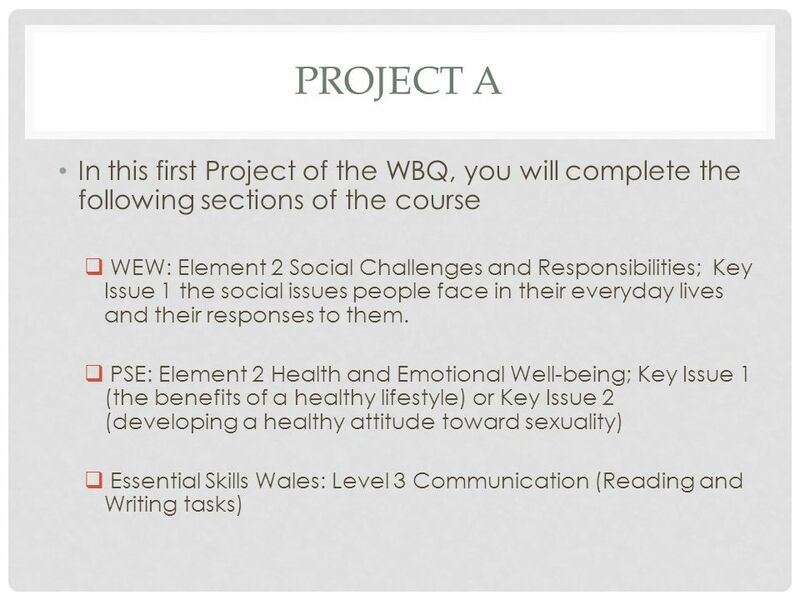 PROJECT A In this first Project of the WBQ, you will complete the following sections of the course  WEW:"
PROJECT A: LESSONS 2/3 THE ISSUES PEOPLE FACE. REVIEW THE QUESTIONS You will now look at a range of videos based on the four issues outlined last time. Communicating and Addressing Adolescent HIV/STD & Unintended Pregnancies in the 21st Century Rick Deem Data Management Coordinator Office of Healthy Schools. Hackney and City Health and Wellbeing Overview James Palmer Head of Public Health Service LB Hackney. The British Crime Survey Face to face interviews with a sample of adults (16+) living in private households in England and Wales Measures crime victimisation. 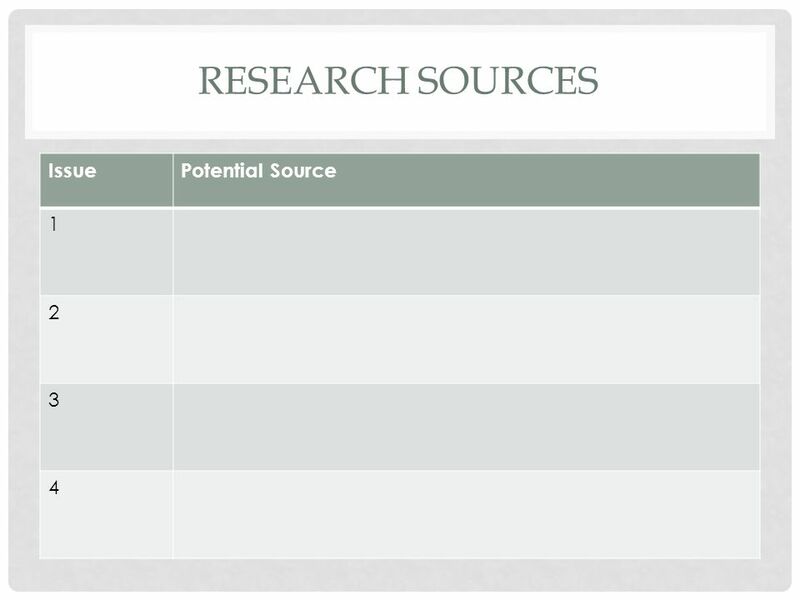 Assessing for Key Child Welfare Issues Version 1.0 | 2014. Session 4 Substance Abuse. 4.1 Overview of Session 4 Learning Objectives   Articulate the definition of substance abuse.   Articulate the difference. The Landscape in Sussex in 2010 we had 1421 calls on the telephone helpline = a month (open four sessions a week) Telephone Helpline Calls in. Social marketing study Questionnaire. One of the activities planned in the Comenius Multilateral Project "We promote our region and country-Europe Young. The Heart of the Matter: supporting family contact for fostered children. Quick Questions 1. 1.List statistics that highlight Glasgow’s special health problems. 2.Explain why it is important not to stereotype all people who live. Alcohol and Rights Whilst doing the lesson today, please keep the following UNCRCC articles in your mind. Article 3 All adults should do what is best for. ‘What is next for WNHSS; strengthening the role for research in practice’ Dr Julie Bishop Thursday 19 th March 2015 WNHSS – What Next? Health and Fitness Trends Module B: Lesson 2 Grade 12 Healthy, Active Lifestyles. Somerset health and wellbeing in learning programme Promoting healthy outcomes for children and young people through education Teresa Day – Health and. Public Health “The science and art of promoting and protecting health and well-being, preventing ill-health and prolonging life through the organised efforts.